You'll be £19.99 closer to your next £10.00 credit when you purchase Scotland and the Sea. What's this? Scotland's maritime heritage is a highly significant one, embracing as it does a quite outstanding contribution to Britain's development both as an empire and as the world's leading maritime power in the nineteenth century. Scottish engineering, ship-owning and operating, as well as business and entrepreneurial skills, played a major part in the success of the Merchant Navy, while Scottish emigrants took skills to every corner of the world, creating trade and wealth both abroad and at home. In terms of engineering, 'Clyde-built' was the Kitemark for the shipbuilding industry the world over. Scottish shipowners included household names such as Allan, Anchor, Donaldson and Henderson, while Scotsmen were instrumental in founding and, for much of the time, managing Cunard, British India, P & O, Orient, Glen and many other 'English' companies. The author tells an exhilarating story of energy and inventiveness, describing the remarkable navigational skills of the highlanders and the technological and business skills of the lowlanders, and relates the early development of the steamship, the impact of emigration, the involvement with exploration and the development of trade routes, and the final flowering of the world's last great iron sailing ships. And the evidence is still here, in the Cutty Sark, the Denny test tank at Dumbarton, and the Burrell Collection at Pollock, all reminders of a remarkable story. As seen in Scottish Memories Magazine. This book is very interesting and is an enjoyable read as such the author has done a great service to the maritime history of Scotland. The chronology of the chapters make it easy to follow the progress from the early 1800's until the present day. 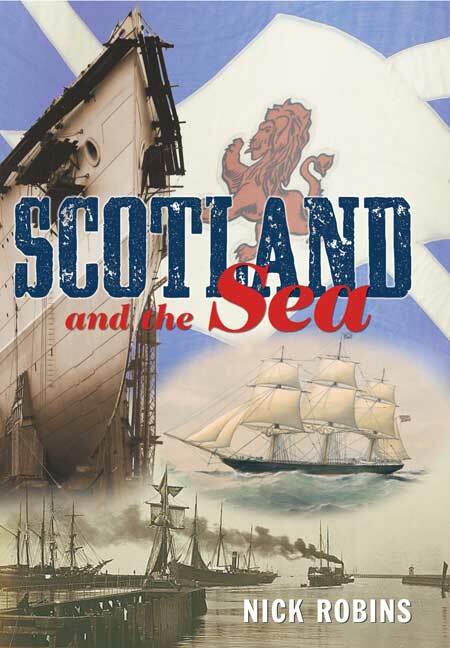 Readers will delight in learning that the Scottish steamship dominated English trade. Dr Robins' book is full of quirky stories about the Scots who made their living and their fortune from the sea. A detailed index and helpful references with lists of ships and dates of construction makes it doubly [valuable] and ensures the appreciation of readers interested in both maritime and economic history. The author should certainly be congratulated for producing such a fascinating, well-researched and scholarly account of the Scots and the sea. As seen in the Clydebank Post. In this book, Nick Robins explores everything from the start of the steamship era and the making of sailors through to the Atlantic crossing and maritime disasters. There's some fantastic old photos in every chapter – this is a great book for boat and history lovers alike. Scotland's maritime story is significant to the development of the Empire and the placing of British manufactured goods in a category of their own, the envy of the world... The author has told the story very well and included some very interesting images in support of the text.